Argon is a alu alloy carabiner dedicated to people who seek extreme lightness and the slightest dimensions. Designed for better rope glide, to ensure good positioning of belay devices and shape adapted for easy tying and untying of a clove hitch. Wider rope contact surfaces for reduced wear on the carabiner. The D shape transfers the majority of the load onto the spine, the carabiner strongest axis. 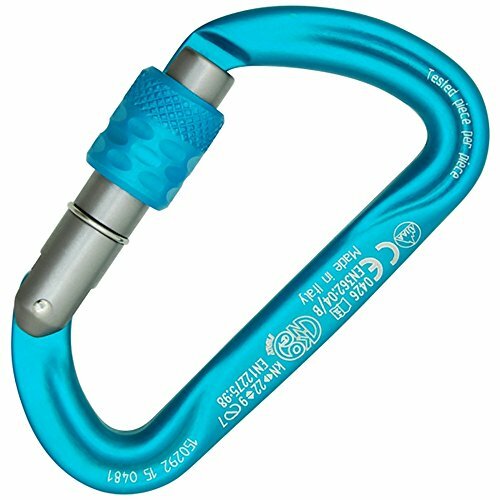 The asymmetric shape, furthermore, is ideal for connecting belay or rappel devices or for use at the end of a lanyard. The screw sleeve is recommended for dirty environments, where other spring-loaded sleeve may jam due to dirt.